Weeknight meals are hectic. Between coming home from work, unwinding and trying to figure out what’s for dinner, I’m almost always famished. I’ve been known to munch on things that almost destroy my appetite for a full-fledged meal but if I know it’s going to be noodles or rice-related, I can hold off with eager anticipation of what’s to come. Lately though, I’ve been straying away from using traditional noodles and cooking with spaghetti squash. For those on a low-carb diet (I’m not) but looking for a healthier alternative, this option contains omega-3 essential fatty acids and omega-6 fatty acids along with a host of vitamins and minerals. Squash is healthy! Pair the squash with a hearty, tomato-based sauce, it’s a hefty meal that can last for several meals. My favorite sauce to pair with spaghetti squash is homemade bolognese made well in advance (usually a lazy Sunday), halved and frozen for future meals. While the spaghetti squash is equally good paired with other sauces, this recipe for Bolognese is equally good with traditional spaghetti noodles. In a large skillet, warm oil over medium heat and saute bacon, onion and garlic until bacon is browned and crisp; set aside. In large saucepan, brown beef and pork. Drain off excess fat. Stir in bacon mixture, mushrooms, carrots, celery, tomatoes, tomato sauce, wine, stock, basil, oregano, salt and pepper to saucepan. Cover, reduce heat and simmer one hour, stirring occasionally. 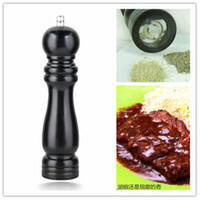 Salt and pepper to taste and serve hot over your choice of pasta. 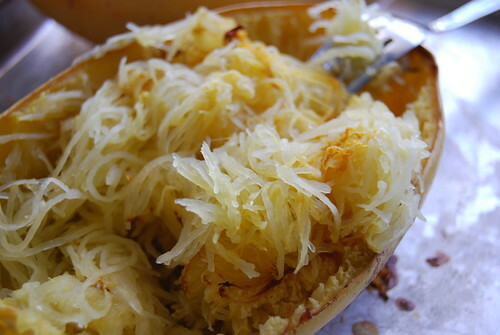 Spaghetti squash is especially wonderful when paired with garlic butter and lots of cheese. I agree that lots of cheese is a very important ingredient. Spaghetti squash is like a dieter’s best friend. A pound of the stuff is ~150 cals and I think it tastes great. That homemade bolognese looks amazing. I had no idea it was so low in calories but good to know. Thanks! LOVE spaghetti squash! Trader Joe usually has it the cheapest, and I’ll grab 6 of them if I see them. They seem to store forever. I like it tossed with some garlic, butter, brown sugar, and a splash of fish sauce. You know, I never thought about buying in bulk but now that you mention it, I will have to do that. Nice idea with adding fish sauce! I swear I’ve been wanting to try spaghetti squash and confess I’m totally embarrassed I never have. 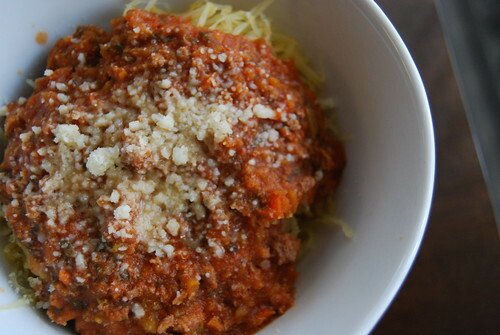 It looks so good with your bolognese — but I just may have to try Stephanie’s suggestion as well. YUM. Now is the time to try it! I think it’s a versatile dish and once you try, you’ll be hooked! I like spaghetti squash but the rest of my family doesn’t. Boo on them. The bolognese looks amazing though! Yeah, spaghetti squash is a bit of an acquired taste especially if you’re expecting something else.